Archive for the ‘Anger’ Category. Take a deep breath and count to 10! Most adults know this technique for dealing with anger, so I was curious to find out during our weekend family devotion on the topic “Anger” from Parenting With Scripture, if my kids were familiar with it. They weren’t! So, we had a fun time role-playing scenarios that are common to our household that arouse anger and practicing the “take a deep breath and count to 10” method. It was also a great opportunity for the kids to see that we never outgrow God’s word. Mom and Dad also have to remember that “a gentle answer turns away wrath, but a harsh word stirs up anger.” Proverbs 15:1. 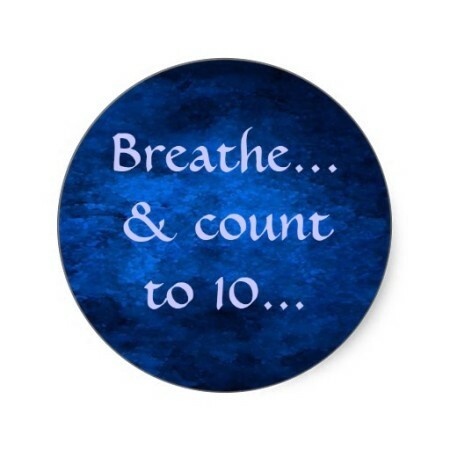 Taking a deep breath and counting to ten is a great practical way to help turn that harsh answer into a gentle answer!